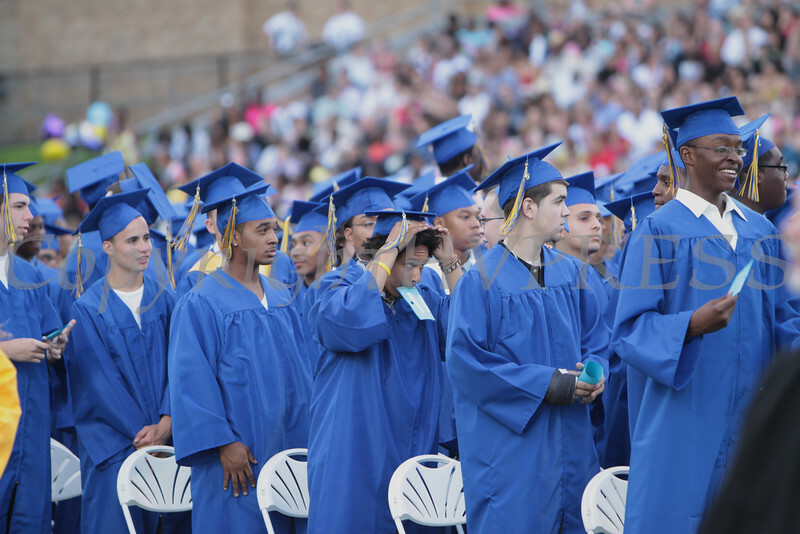 The Newburgh Free Academy (NFA) Class of 2010 Commencement took place on Academy Field in the City of Newburgh on Thursday, June 24, 2010. Christopher Colas-Elmehdi adjusts his mortarboard during the Newburgh Free Academy (NFA) Class of 2010 Commencement Exercises on Academy Field in the City of Newburgh on Thursday, June 24, 2010. Hudson Valley Press/CHUCK STEWART, JR.